The new born state of Israel was 50 years old in 1998. What a 50 years! To start with—the rebirth of the state of Israel in 1948 was a miracle of history (Ezek.37:1-11; Luke 21:29,30). Never before has a nation been destroyed, its people dispersed to the ends of the earth, and then, nearly two thousand years later, re-gathered to their homeland and re-established as a nation. When Israel declared itself an independent state on May 14, 1948, still another miracle occurred. The armies of seven Arab nations marched on the newborn State, boasting that they would "push the Jews into the sea." Outnumbered 100 to 1, Israel not only repelled the invaders but acquired more of Palestine than was granted in the UN partition plan. Yigael Yadin, Israel’s commander of operations in that war, had a terse explanation of Israel’s victory. "It was a miracle!" A Syrian column of 200 armored vehicles—including 45 tanks—attacked Degania, the oldest kibbutz in Israel. What a psychological blow this defeat would be! Without artillery, Jewish forces were helpless to block the Syrian advance. Until then the only heavy weapons available in all Israel were four howitzers of the type used by the French army in the Franco-Prussian War of 1870. Two of these ancient fieldpieces were promptly dismantled and rushed to Degania. The local commander, Lieutenant Colonel Moshe Dayan, had them reassembled at the very moment the first Syrian tanks rumbled through the kibbutz perimeter, and they scored a hit on the advance tank. Had the Syrians known that these two obsolete weapons represented half the arsenal of field guns in all Israel, they would have pressed the attack. Instead, the armored vehicles swung around in their tracks and clattered back up the mountain road. At Safed, near the Sea of Galilee a small unit of Israeli defenders were holding off thousand Arabs. A sudden tropical storm broke loose. The Israelis in desperation took their remaining gasoline, poured it over 50 empty drums, set them afire and rolled them down the hill. The flaming barrels flying down the slopes, the rumble of hollow barrels striking rocks—together with the tropical storm—created such an illusion that the bewildered Arabs imagining some sort of secret weapon took to their heel and fled. In December 1948, the Egyptians were harassing Israeli settlements in the Negev while advanced columns were moving north. Yadin used the Bible for strategy. It mentioned an ancient road forgotten for centuries, which ran almost directly to Mushrafa, the Egyptians’ central garrison. Heavy boulders were pushed aside with bulldozers. Soldiers in armored vehicles, jeeps and supply trucks sped under cover of darkness along the ancient road and surprised the Egyptians. Taking this garrison destroyed the Egyptian defense system and ended the war 14 days later. To liberate the airport at Lydda the tactics of Gideon were employed. Seven thousand Arab troops were ready to attack. Sixteen Israelis dressed as Arabs infiltrated into the city of Lydda. Like Gideon’s band of 300 they made such a commotion during the night that the Arabs, totally confused, fired upon each other. Finally the majority fled back across the border. The Syrian Army had regrouped east of the Galilee. A Jewish column of 24 homemade armored trucks and cars, on the way to relieve a besieged Kibbutz, took the wrong road and crossed the border into Lebanon. Before they discovered their mistake, they ran head-on into a column of supplies for the Syrian Army in Galilee—dozens of trucks of ammunition, a string of light artillery and 20 new armored cars. The Israelis fired point blank at the first truck—a tanker loaded with gasoline. It exploded and set on fire the following truckload of hand grenades. Rapid repeating explosions were heard for miles around. Terrified, the Syrians abandoned their cargo. The Israelis scarcely had enough men to drive the captured supply train back into Galilee. Finally they reached the beleaguered Kibbutz, only to learn that the Arab besiegers heard rumors that the Jewish army had invaded Lebanon, therefore, the Arabs fled Israel. The victory of the 1948 War was a big miracle composed of a series of little miracles. Why? Over 2500 years ago the prophet Isaiah made a remarkable prophecy concerning Israel regathered back in her land. "They that war against thee shall be as nothing and as a thing of nought…for I will help thee." (41:12,13). The miracles continued. Trees, fruits and vegetables grow over what was once shifting sandy wastes or malaria swamps. New industries fringe historic cities. Highways and pipelines stretch across a energetic nation that had slept for centuries. David Ben Gurion, Israel’s dynamic first Prime Minister, was an ardent student of the Bible as an accurate history of Israel and its land. He dispatched engineers, horticulturists, botanists, etc., with the Bible in one hand and research tools in the other. Miracles happened! For the Lord thy God bringeth thee into a good land; a land whose stones are iron and out of whose hills thou mayest dig copper. Barren land transformed to the fertility of ancient Israel is a miracle predicted in Scripture (Amos 9:14-15; Ezek. 36:34-35). It was long assumed that most of Palestine was wasteland, irreclaimable for agriculture. But archaeologists discovered the presence of more than 70 ancient settlement sites in one 65-mile stretch of the Jordan Valley alone, each with its own well for water. Lot, over 3,000 years ago, was not exaggerating when he "lifted up his eyes, and he saw all the plain of Jordan, that it was well watered everywhere, even as the garden of the Lord" (Gen.13:10). New agricultural settlements—from Dan to Beersheba—have risen beside ancient sites reidentified by Biblical archaeologists. Concrete pumping stations were set over ancient springs or wells. A well from Abraham’s day, now supplies water for residents on the outskirts of Beersheba. One of the basic necessities in that arid country is reforestation. Ever since Jews began returning, they have been planting forests, naming them in honor of such leaders and friends of Israel as Chaim Weizmann, Lord Balfour, George V and scores of others. The Bible has helped them decide what kind of trees to plant and where to plant them. Debating whether a certain barren hillside would be a suitable location for Israel’s immense "Forest of Martyrs," Israelis found the answer in Joshua, which proved that a forest had existed there. "Knowing that trees grow more easily where trees have flourished before," explained Professor Zohary of Hebrew University, "we rely on the Good Book." "The first tree Abraham put in the soil of Beersheba was a tamarisk," said Israel’s outstanding authority on reforestation, Dr. Joseph Weitz. "Following his lead, we put out two million in the same area. Abraham was right. The tamarisk is one of the few trees we have found that thrives in the south where yearly rainfall is less than six inches." The writer personally knew the Boyko Family who pioneered in developing Biblical principles of agriculture that helped the Aravah and the Negev blossom as a rose. The Bible made Israel the agricultural giant it is today exporting its products worldwide. It took another miracle to make this possible. In Bible times there were two copious rainy seasons in Palestine—the "early and the latter rain." But for the past many centuries the "early rain" has been minimal while the "latter rain" and dew have disappeared completely. Since 1878, the "latter rain" is falling again. The precipitation of both has spiraled over the decades just as predicted in Joel 2:23,24. 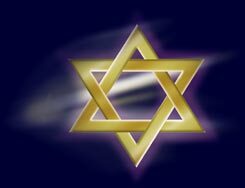 Jews from the four points of the compass heard the call to come home (Isa. 43:5,6). Israel’s Declaration of Independence stated that Israel "will be open to the immigration of Jews from all countries of their dispersion." Even as war still raged and the little State faced possible destruction or bankruptcy, the newcomers poured in. During the first three years of statehood, the average reached 18,000 a month and in some months the figure exceeded 30,000. Between May 15, 1948, and June 30, 1953, the Jewish population of the country doubled. By the end of 1956, Israel’s population had nearly tripled, reaching 1,667,000. Imagine the economic shock of absorption! Jews kept pouring into Israel over the decades. In 1984 - 1985 and again in 1991 harrowing airlifts brought Ethiopian Jews from utter despair to a Land of hope. Finally, the long-expected prophetic fulfillment of Jews from Russia began in 1991. By 1998 over 800,000 have returned from the former Soviet Republics (CIS) and they are still coming. Over a million are expected. Israel’s population increased from 650,000 in 1948 to nearly 6,000,000 in 1998. The miracle of absorption continues. The Arabs boasted that they would destroy Israel. However, in six days Israel overran the combined forces of Syria, Jordan, Egypt and took the Golan Heights, East Jerusalem, the West Bank (Samaria and Judea), and the Sinai—one of the greatest military feats in history. To many Orthodox Jews worldwide, especially in the United States, it was a wake-up call from God. Thousands poured into Israel and settled in Samaria and Judea to stake Israel’s eternal claim to the so-called West Bank—the heartland of Israel. They are certain the Messianic Age is near at hand. As Biblical Zionists, they oppose any give-away of land in the peace process. Ezekiel 38:12, 13 predicts that Israel will become an economic envy of the nations. The immigration of Russian Jews is literally paying off. This year has witnessed an explosion in both hi-tech developments and the number of contracts Israeli hi-tech companies have signed with manufacturers worldwide. Prime Minister Netanyahu said, "The failure of Soviet communism to capitalize on the outstanding R & D skills of the Russian Jews was a stroke of good fortune for Israel. We now have the highest per capita of scientists in the world. This has put Israel on the cutting edge of technology." The New York Stock Exchange lists more hi-tech companies from Israel than any other nation… Ezekiel also predicts the sanctification of God’s name when Israel’s enemies would threaten His people (38:16-23). Actually Israel’s miracles began in 1878 with the regathering of the Jewish people to their Land. Ironically the PLO also celebrated its own 50-year anniversary from 1948. The Palestinians have several names for their anniversary. One is "50 years of catastrophe!" Two people claim the one land is theirs. Who is right? Who are the Palestinians? Israel, A Nation Of Miracles: Whose Land? The prophet Jeremiah 16:14-18 speaks of Israel receiving a "double of punishment" before they are regathered to their Land (16:14-18). This double would be a period equal to their prior period of favor with God. Jeremiah also observed that during this double of punishment the Land of Israel would become relatively desolate of man and beast (33:10-16). PLO Chairman Yassir Arafat in his speech before the UN in 1974 declared, "The Jewish invasion began in 1881 . . . Palestine was then a verdant area, inhabited mainly by an Arab people in the course of building its life and dynamically enriching its indigenous culture." Financed by the oil rich Arab States, Arafat has conducted a worldwide propaganda campaign to convince the world community that the Holy Land has for centuries sustained a thriving Palestinian culture. In 1857, the British consul in Palestine, James Finn, reported, "The country is in a considerable degree empty of inhabitants and therefore its greatest need is that of a body of population." This historic observation is a remarkable confirmation of the Biblical predictions that during Israel’s "double" period of time of punishment and dispersion, the Lord would cause the Land to become desolate of man and beast (Jeremiah 33:10; Zechariah 10:12; Jeremiah 16:14-18). No wonder by 1857 it was just waiting for "a body of population! "4 In the Lord’s providence this needed body of population-the Jewish people-began to return after 1878 at the end of their Scriptural period of His disfavor. The most popular quote on the desolation of the Land is from Mark Twain’s The Innocents Abroad (1867), "Palestine sits in sackcloth and ashes. Over it broods the spell of a curse that has withered its fields and fettered its energies….Palestine is desolate and unlovely…. It is a hopeless, dreary, heartbroken land." The records of history confirm the Biblical predictions that during the Jewish dispersion and "double" of God’s disfavor, the Land of Israel would become desolate awaiting the return of the Jewish people when its period of disfavor ended in 1878. The records of history simply do not confirm today’s Palestinian claim of Palestinian roots and culture in a "verdant area" since the Arab rule of the land (A.D. 640-1099). Golda Meir once argued that there was no such thing as a Palestinian; at the time, she wasn’t entirely wrong. Before Arafat began his proselytizing, most of the Arabs from the territory of Palestine thought of themselves as members of an all-embracing Arab nation. It was Arafat who made the intellectual leap to a definition of the Palestinians as a distinct people; he articulated the cause, organized for it, fought for it and brought it to the world’s attention…. Faisal’s views about the future of Palestine did not differ from those of his father and were identical with those held then by the great majority of politically-minded Arabs. The representative Arab view was substantially that which King Husain [Grand Sherif of Mecca, the great grandfather of the current King Hussein of Jordan] had expressed to the British Government…in January 1918. In the Arab view, Palestine was an Arab territory forming an integral part of Syria. Referring to the same Arab view of Palestine in 1939, George Antonius spoke of "the whole of the country of that name [Syria] which is now split up into mandated territories…"13 His lament was that France's mandate over Syria did not include Palestine which was under Britain's mandate. There are no differences between Jordanians, Palestinians, Syrians and Lebanese. We are all part of one nation. It is only for political reasons that we carefully underline our Palestinian identity.…yes, the existence of a separate Palestinian identity serves only tactical purposes. The founding of a Palestinian state is a new tool in the continuing battle against Israel [emphasis ours]. Indeed, the verdict of history does more than confirm the Prophets that the population of the Land of Israel would be minimal until the "double" of Israel’s disfavor ended in 1878 when the regathering of the Jewish exiles began (Jeremiah 33:10; Zechariah 10:12 and Jeremiah 16:14-18). The record of history testifies that the great influx of Arabs also began after that date. These facts of history explain why the United Nations needed to develop a definition that a "Palestinian Refugee" is any Arab who had been in "Palestine" for only two years.25 This U.N. definition, in fact, is incompatible with the assumption that the Arab Palestinian roots go back one or two thousand years. The Jews themselves have dominated the Land called "Palestine" for the past two millennia. The Jews themselves are as much "Palestinian" as the Arabs who claim to be Palestinians. If any population has a right to the name Palestinian (if they wanted it), it would be the Jews whose ancestors had their Land renamed "Palestine." With the ending of God’s "double" of disfavor and punishment, God takes issue with the nations responsible for hounding and scattering "my people." Now during God’s regathering of the Jews by Divine Providence since 1878 to "my Land," He also takes issue with the fact that the nations have "parted My Land"—His Land. How have the nations "partitioned" His Land? World War I was the second significant event in end-time prophecy regarding the regathering of Israel. Turkey, with an expansive empire that compassed the Middle East (including Palestine) and North Africa, fought with Germany and the Central Powers against the Allies. At the breaking up of the Turkish Empire by the victorious Allies, both Jews and Arabs requested independent states. The world powers were generous in the extreme to the Arabs by granting them twenty-two independent Arabs states—encompassing 5,414,000 square miles. The Jews asked for less than one percent of that vast territory. The Allies agreed to this request (which included both sides of the Jordan) in the 1917 Balfour Declaration and the 1920 San Remo Conference of World Powers. For imperialistic interests, however, in 1921 Great Britain reneged on the Balfour Declaration, lopped off 77 percent of the Land promised in the Balfour Declaration and set up the Arab Emirate of Transjordan. Then in 1922 the League of Nations gave Great Britain a Mandate to prepare the remaining 23 percent of Palestine (including Samaria, Judea, Gaza, Golan Heights and Eastern Jerusalem) for a Jewish National Home. But under French pressure, in 1923 the Golan Heights was ceded by the British to the French mandate of Syria.26 They partitioned His Land and the Lord was angry. Oil was then discovered in the Arab countries. Consequently, "oil diplomacy" was instituted. British foreign policy simply bowed to Arab appeasement. In 1939 the British White Paper banned further immigration to Palestine. Also, with brutal callousness, the United States and most nations refused to accept the beleaguered Jews of Europe. Consequently, six million Jews were slaughtered in the Holocaust. When Israel became an independent State in 1948, armies from six Arab nations invaded the newborn State. Outnumbered 100 to one, Israel’s ragtag army pushed back the invaders and took more of its rightful Land. Divine Providence was telling the world something about whose Land it is. The only failure in Israel’s rightful victory at that time was not succeeding in recapturing East Jerusalem. Instead, the Arab State of Transjordan captured East Jerusalem, expelled all Jews and destroyed or desecrated all Jewish holy sites. That is actually when Jerusalem became "occupied territory." Defying the U.N. Mandate, Transjordan also occupied the west bank of the River Jordan. No longer limited to being "Trans" (across) Jordan (the east bank), Transjordan reduced its name to simply Jordan, now ruling over both the occupied west bank and the original east bank of Jordan. For 19 years, until 1967, Jordan brutally occupied the renamed "West Bank" with its 20 UNWRA refugee camps…. And when western Palestinians rioted in December ’55, April ’57, April ’63, Nov. ’66 and April ’67, King Hussein sent in tanks which shelled city streets and machine gunned people at random, killing hundreds of men, women and children. For 19 years of brutal occupation of their fellow Arabs, Jordan and Egypt kept these areas in a deliberate state of economic stagnation and severe unemployment. Average unemployment in the early Sixties ran between 35-45%, and refugee unemployment hit a high of 83%. Yet during this entire period, the world was silent…. Only after Israel’s seizure of these territories in a defensive war in 1967, did anyone discover the "legitimate rights and national aspirations" of the Palestinian Arabs. Had the Arab countries any true intentions of helping their beleaguered brethren from western Palestine, they would and could have absorbed them easily 4 decades ago, as the Israelites did of an even greater number of Jewish refugees from Arab lands. The Palestinian Arabs share the same language, religion and culture, and for 70% of them, the same countries of origin just 3 generations before when their grandfathers emigrated for economic reasons to Palestine from surrounding Arab lands. But the 22 Arab countries, uninterested in aiding their Palestinian brothers, preferred to use them as a political weapon to wield against Israel, and the U.N. supported this heartless human manipulation. In the mid-1970’s Israel attempted to give the Palestinian Arab refugees in Gaza new and better housing. The U.N. General Assembly, at the urging of the Arab states, passed Resolution 32/90 condemning Israel for trying to relocate these refugees and demanded they be returned "to the camps in which they were removed." And yet, a senior U.N. official came to Gaza in January 1988 accompanied by 10 TV crews on a fact-finding visit and laid the entire blame for the situation at Israel’s feet. As if the U.N.’s own complicity in the matter didn’t exist! When the six Arab nations invaded Israel at Israel’s birth, many claim 600,000 Arabs were displaced in that war. What is not well known is that approximately 800,000 Jews, who were living in those six Arab nations, had to flee for their lives because of Arab hatred. The solution to this refugee problem was simple—a fair exchange. Israel, at a terrible economic cost, absorbed the 800,000 Jewish refugees. But the Arab nations refused to accept these Arab refugees, their Arab brethren. Rather, they placed them in refugee camps, which became dark holes of hate and misery, models for propaganda to turn world opinion against Israel. They succeeded. The UN has now had the audacity to call Jerusalem and the "West Bank" "occupied territories" only after Israel regained them in the 1967 War. In 1922 the League of Nations had recognized the legal, moral and historic right of the Jewish people to a national homeland in Palestine—including Jerusalem. If the Jews had a right to Jerusalem recognized by the world community in 1922, that right is still valid today. But since then, the vast oil reserves were discovered in Arab lands. The nations are compromising Israel’s rights for their own oil interests. Consequently, the U.S. administration and the UN define East Jerusalem as "occupied territory." When Jordan occupied East Jerusalem, it was "occupied territory." But now, in fact, no part of Jerusalem is "occupied territory." Jerusalem—indivisible—belongs to Israel. The same logic applies to the "West Bank." Unfortunately, Israel’s government presently is too intimidated by tremendous pressure from the U.S. and other world powers to insist on its historic right to Judea-Samaria, the so-called "West Bank." What is the Lord’s perspective of all of these events? He is angry at the nations. Whose Land is it that the world powers are now pressuring Israel to give to the Arabs? During the current regathering of the Jews to Israel, even before God’s Kingdom is set up in Jerusalem, God refers to Israel as "MY people" and their Land as "MY Land" (Ezekiel 38:16; Isaiah 11:11). "they parted [partitioned] MY land." To whom does the Land belong? The Arabs? No! The Land belongs to God and He gave it to the children of Israel. But the nations have the arrogance to partition God’s Land. They took 77 percent of it away from Israel, "MY people," and gave it to the Arabs—and now the United States and the nations of the world are pressuring Israel to surrender more of their God-given Land to the Arabs. But the Lord has His own land plans for Israel. A six-year study by over 250 scientists and experts predicts that by the year 2020 the population of Israel will exceed 8,100,000, making Israel by far the most densely populated developed country in the world. Israel will be more than 2.5 times more densely populated than Japan and the Netherlands, and there will be a serious shortage of land for residential construction. In Micah 7:11 the prophet speaks of our time as "the day for extending your [Israel’s] boundaries"(NAS). Actually, the Scriptures (Isa. 11 & Zech. 10) indicate another large immigration of Jews from the CIS and a massive exodus from the U.S. even before 2020. But there will be no land shortage. A final Arab-Israeli war will precede this massive immigration. Israel’s borders will be expanded to include all of the Golan Heights, much or all of the sparsely inhabited nation of Jordan and Southern Lebanon (Isa. 11:14; Zeph. 2:8-9; Micah 7:11, 14; Obad.18-20). All of this territory was promised Israel in the Balfour Declaration back in 1917. But God will finally give to Israel even more than the nations promised (Genesis 15:18-21). After the destruction of their governments, the people of these nations will "seek the Lord of Hosts in Jerusalem" which will become the capital of God’s Kingdom (Zechariah 8:20-23). Instead of converging on Israel and Jerusalem to partition the Land or take it, the nations will come to Jerusalem to learn of the God of Israel so that they may walk in His ways. Instead of coming to dissect Israel, they will come to be taught (Isaiah 2:1-4). Yes, the Messianic Era will come. [the natural seed of blessing]. …Jerusalem shall be called a city of truth, and the mountain of the LORD of hosts the holy mountain… O house of Judah and house of Israel; so will I save you, and ye shall be a blessing; fear not, but let your hands be strong…. It shall yet come to pass that there shall come people and the inhabitants of many cities,… saying, Let us go speedily to pray before the LORD, and to seek the LORD of hosts… ten men shall take hold out of all the languages of the nations, even shall take hold of the skirt of him that is a Jew, saying, We will go with you: for we have heard that God is with you. [shall be] grass with reeds and rushes. though fools, shall not err [therein]. Irving Howe and Carl Gershman, Ed., ISRAEL, THE ARABS AND THE MIDDLE EAST (New York: Quadrangle Press, 1972), p. 178.